Avoid any of these 9 "how not to camp" mistakes. From an early age I learned how not to camp! 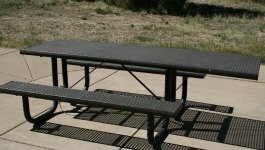 1- Picnic table use - Picnic tables provided at the campground are there to enjoy meals with family and friends. Some campground tables have an extension on one end specifically for cooking. Some folks out there like to carve their names into them or use them as a workbench to rebuild car engines. I've also seen tables taken apart and used for firewood....a perfect example of how not to camp. 2 -Don’t trash the campsite – Trash left lying around the campsite is not only unsightly but causes several problems. The biggest is that it it attracts unwanted animals and pests. Trash is very inviting to: Bears, Chipmunks, Raccoons, Squirrels, Skunks and obnoxious Birds (Especially crows). 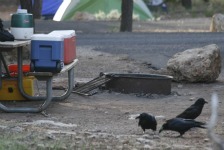 For example: The campgrounds around the Grand Canyon have a serious problem with the crows and they are very aggressive. 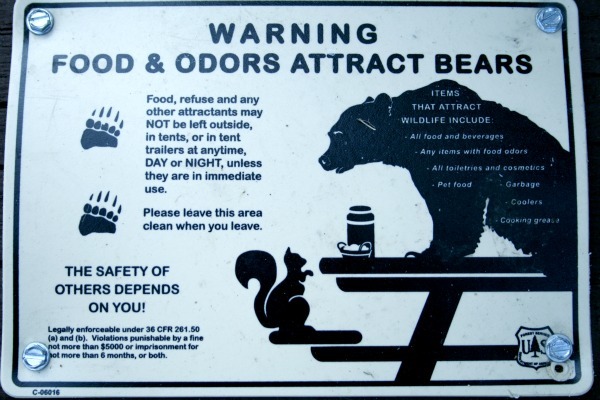 On a recent camping trip to Yellowstone National Park we saw Bear Warning signs like this one everywhere. Don’t walk away from any food items even for a minute! 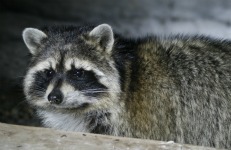 Trash also attracts insects of all sorts: biting Flies, Mosquitoes, Gnats, Ants, Bees & Wasps. Wasps love open soda cans and may crawl inside when you’re not looking! 3 - Respecting quiet hours – Most campgrounds post quiet hours which are 10pm-6am. Sound travels extremely well through campground forests. It’s a good idea to leave stereos at home and when having a conversation keep voices to a whisper. Most RVr’s are really good about turning off their generators during quiet hours. 4 - Understanding car alarms – There is always someone out there that will set off their car alarm by mistake. Usually, not just once but 2-3 times. Whether it’s during quiet hours or during the day, that noise is extremely annoying for everyone! 5 - The how not to camp, car door slammer - It’s always a good idea to keep the car door slamming to a minimum. When arriving late at a campground I’ll just lean the car door shut until everything’s unpacked from the vehicle. There are some people out there that will slam their cars doors a 100 times after they arrive at a campsite. The best one is the sliding side door of an old van…..whoooosh, BAM! 6 - It’s not O.K. 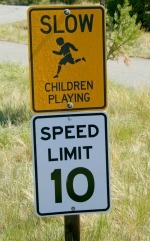 to be in a hurry – Most campgrounds have a speed limit of 5-10 MPH. Some folks add about 20 MPH on to that number. That makes the situation unsafe for kids out running around. Many roads through the campground are dirt so dust kicks up and inevitably ends up on your meal! 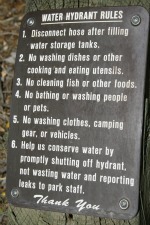 7 - No collecting firewood at the campsite – Most campgrounds won’t allow the collection of firewood anyway. The timber lying around on the ground is essential for nutrient replenishment for the soil and surrounding vegetation. At some of the busy National Park Campgrounds there is nothing but bare ground everywhere. It's sad to see broken off branches from trees. Whether the branches are dead or alive, they should be left there. The live branches will do nothing but smoke anyway. Most Campgrounds, public or private, sell firewood which is always dry and burns really well. 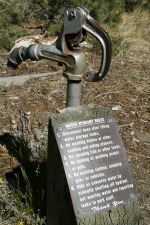 8 - Washing dishes – Almost every campground has water spigots to fill water bottles and canisters. This is not the place to wash dishes or brush teeth! Nothing worse than going to get water and seeing a load of Macaroni n’ Cheese covering the rocks where you want to set your water canister! After a few hours it stinks enough to make your eyes water and attracts flies! That's definitely how not to camp! 9 - Cleaning fish – Along those same lines is the subject of cleaning fish. Most campgrounds near a river or lake will have really nice fish cleaning stations with cutting boards and sinks. Some even have special disposal bins for fish parts. Yes, some folks still rather use the bathroom sink for cleaning fish….Yuck! It’s true, camping is a bit like doing chores. And yes, sometimes it's necessary to walk a bit farther to do the right thing. However, if everyone does their part and pays it forward the next person will have a much better camping experience. Hopefully you found the how not to camp section informative and entertaining. 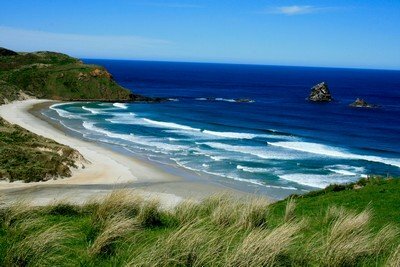 Click here to go from the how not to camp section the to how to camp section, for camping help. How to pick a camping cooler that's right for you. Have a camping cooler falling apart? Here are some ideas on how to fix it. Discover 7 tips how to keep ice in the cooler longer.